In the past several years, the boutique fitness concept has continued to expand and grow! The mainstream health club industry has changed and interest in big box gyms have declined. Consumer, lifestyle, and demographic trends, as well as community, close client relationships, and the appeal of new fitness methods are driving expansion of this segment of the fitness industry. The impact of this expansion looks set to continue, especially when it comes to DEFINE body and mind, celebrating over 7 ½ years of success and currently on the precipice of expansion. Boutique studios are here to stay, creating significant growth opportunities, and as a result the fitness industry may never be the same. In the midst of this trend was the emergence of DEFINE body and mind, which provides high quality service, focused fitness concepts that deliver rich consumer experiences. 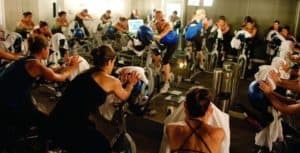 Unlike many boutique fitness franchises that focus on one or two methods, DEFINE offers five (5) methods of fitness in each studio that include techniques of Pilates, indoor cycling, barre, trampoline, yoga, and more (or in DEFINE terms: DEFINE BODY, DEFINE REVOLUTION, DEFINE BOUNCE, DEFINE MIND, & DEFINE YOGA). In addition to the lower capital cost than big box fitness concepts, another advantage to the smaller size of DEFINE is that it enables real estate locations to be secured in non-traditional spaces, not possible with big box clubs. This is particularly true in urban markets where location and cost are essential to viability from opening to lasting success. From trends like low-impact to high-intensity training, consumers seek everything from strength training and cycling to yoga and meditation which cover a range of consumer wants and needs. The era of personalization has enabled our studios to identify specific consumer niches and serve them in new, creative ways. Higher profitability enables boutiques to create a far superior consumer experience no matter what the format. DEFINE’s mission is to educate our clients to be their absolute best and offer a holistic consumer experience. From the application of technologies, including a user-friendly website, CMS (content management system), online registration via an app that secures exact time and location in the studio for the client, to ambiance with high-end sound systems and lighting, DEFINE works hard to give their clients a distinctive almost transcendent experience. Arguably though, it is the fun communities that DEFINE creates that are of greatest appeal to fitness consumers today and which has helped DEFINE grow in various markets & neighborhoods reaching International status in 2016 with the opening of DEFINE: Dubai. Nowadays, consumers are seeking community-based fitness concepts that provide an outstanding fitness experience in a convenient, fun, and effective way. DEFINE offers all that plus so much more. In addition to the 5 fitness methods, atmosphere, & community, DEFINE has expanded with DEFINE foods, LIVING, & an incredible retail line. Check them all out! 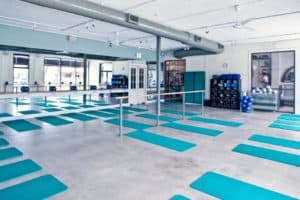 The ongoing expansion of boutique fitness concepts, especially with DEFINE’s latest growth spurt, underscores the sustainability and relevance of the boutique studio trend. Interested in franchising with DEFINE? CLICK HERE!